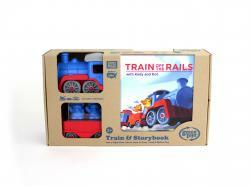 This month at The Boy’s Store we are excited about our new Wugbug Collection. 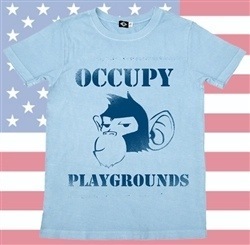 Wugbug is a great brand that focuses on making organic clothing in the USA. All of the Wugbug Collection is hand-dyed with phthalate-free ink and low-impact dyes and feature only the highest fine-combed organic cotton. Wugbug takes their inspiration from nature. That is why their fantastic styles highlight grand elements of nature, including bugs and insects, animals, and plants and foliage in nature. Like most great brands they started small, but before long they became quite the craze and that is why we are so impressed with them this month. So head on over now to check our incredible tees with bold colors and prints that will make your boys bug out with excitement! 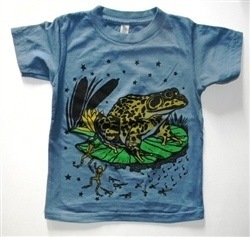 Frog Shirt by Wugbug Clothing: This aqua blue short-sleeved tee features a fantastically fun print of a frog on its lily pad late at night. The bugs are out and flying around and the stars are twinkling bright. 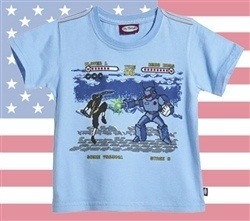 Boys will love this froggy tee and its serene yet playful print. 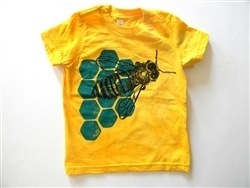 Honeybee Shirt by Wugbug Clothing: This bright yellow short-sleeved tee is screaming wear me! The honeycomb screen print is fun and features an enormous honeybee. It is vibrant and very fun and just a little sweet too. 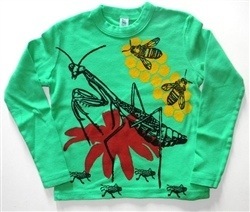 Mantis Shirt by Wugbug Clothing: This vibrant green long-sleeved tee is the perfect look for fall. The mysteriously majestic mantis is front and center. Boys love Praying Mantis’ because they are strong looking, fierce, and yet serene all at the same time. This majestic mantis appears to be the king of the insects on this great tee and will certainly be the king of the closet as well! We are in love with all the great new looks from Wugbug and we cannot wait for our friends to see all of the great styles we are now carrying from Wugbug. So scurry on over to The Boy’s Store and check them out! 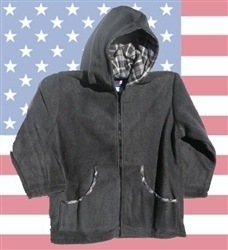 This entry was posted in boys clothing, Brand News, Featured item, Made in the USA and tagged boys clothes, boys tees, new styles, tees, the boys store, Wugbug on September 12, 2013 by Lacy.